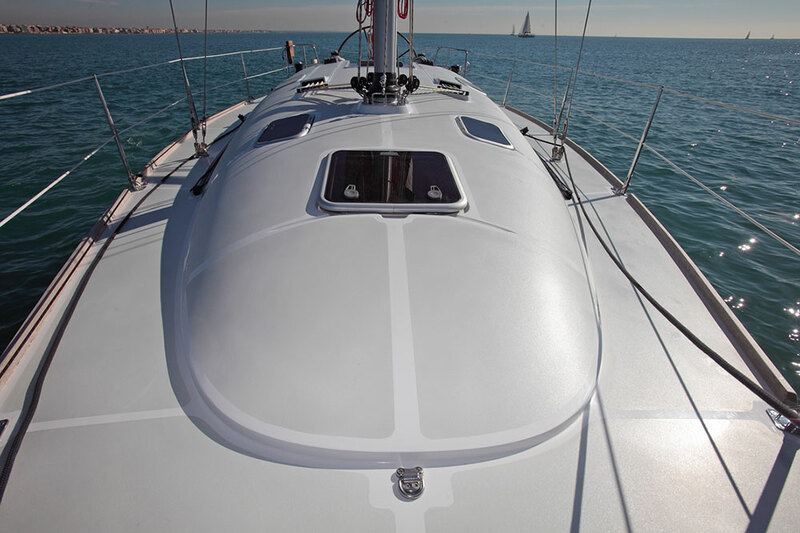 The Comar shipyard, founded in 1961, was among the first to use fiberglass in chain production.Today, the building of a COMET skillfully combines cutting-edge technology and craftsmanship. 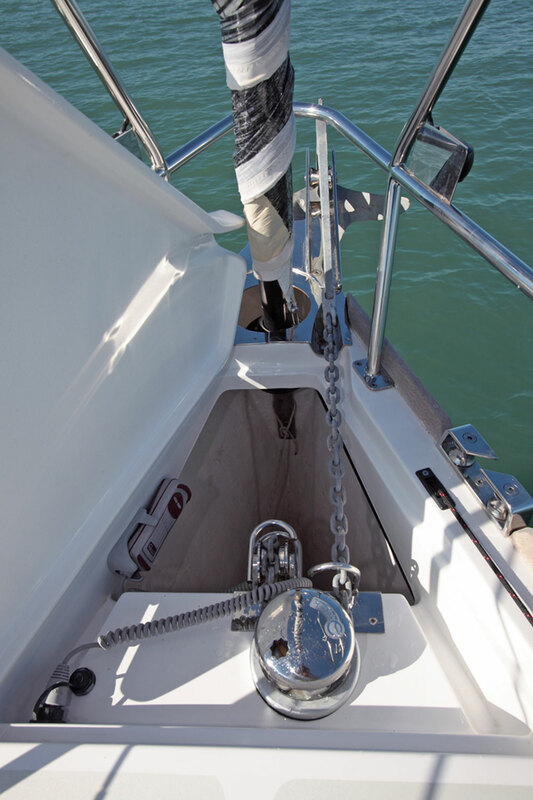 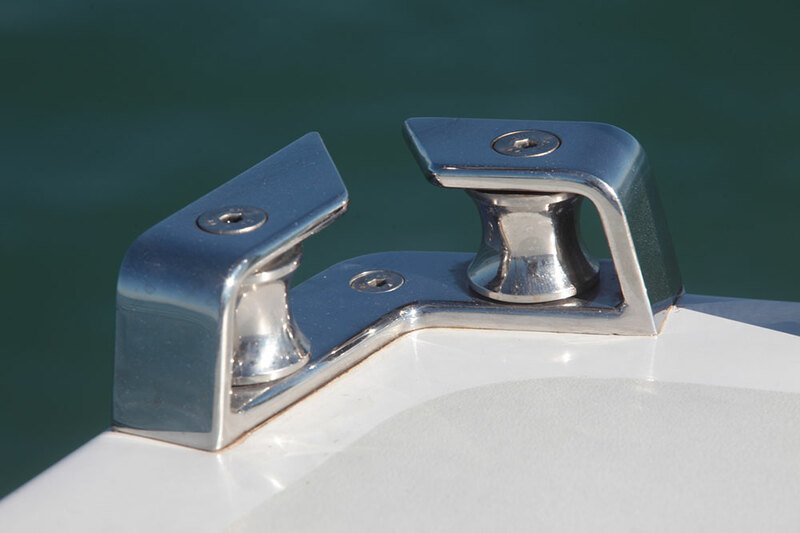 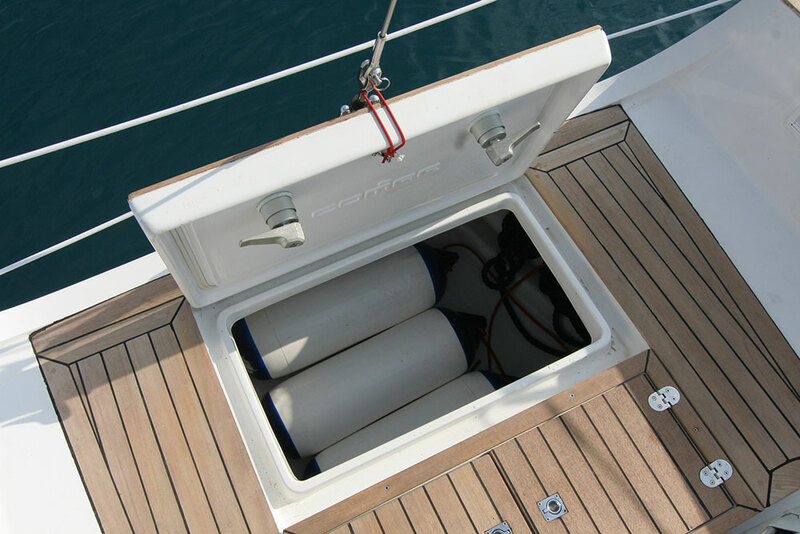 From the hull to the carpentry, from the flush hatches to the steel, most of the components you will find on your COMET have been custom-made in-house. 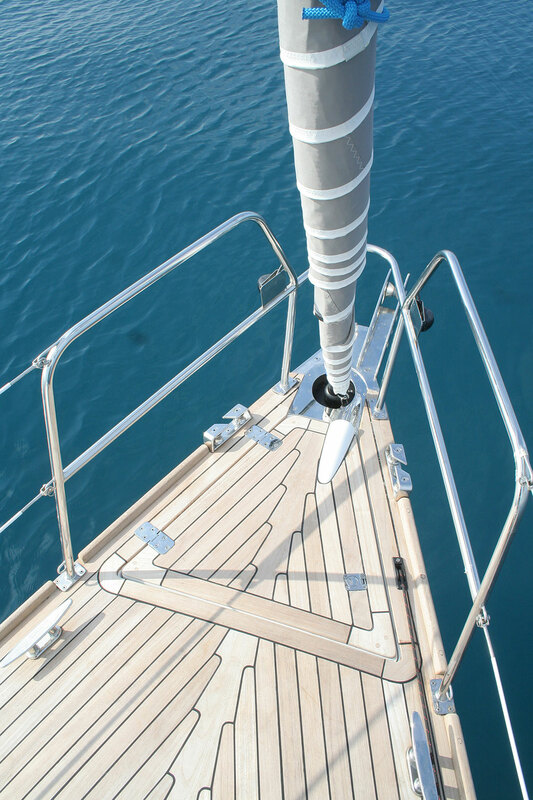 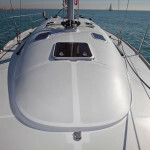 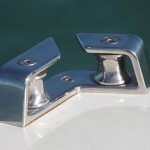 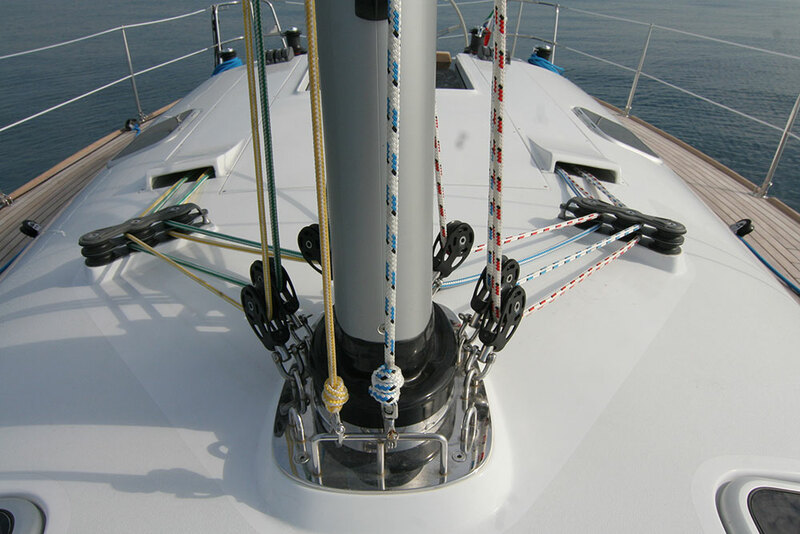 The hull and deck are made in Airex sandwich, using unidirectional and biaxial web and epoxy vinyl resin. 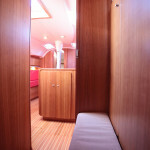 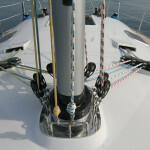 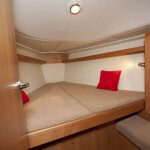 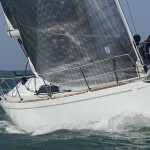 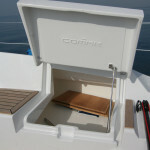 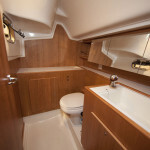 Airex is glued to the skins in a vacuum and the reinforcements are stratified directly on the hull, without using female moulds, thereby obtaining maximum structural rigidity.The Comet 35’s standard layout comes with 2 cabins both with comfortable double-berths, large closets and a large head. 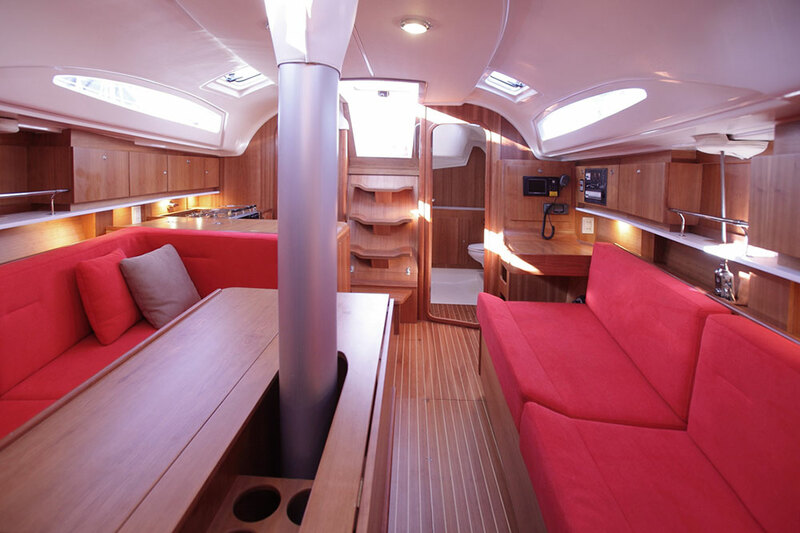 The saloon, with a large convertible couch and a second sofa in front of it, is very bright thanks to the extensive windows and four skylights. 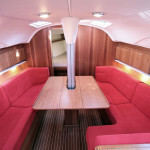 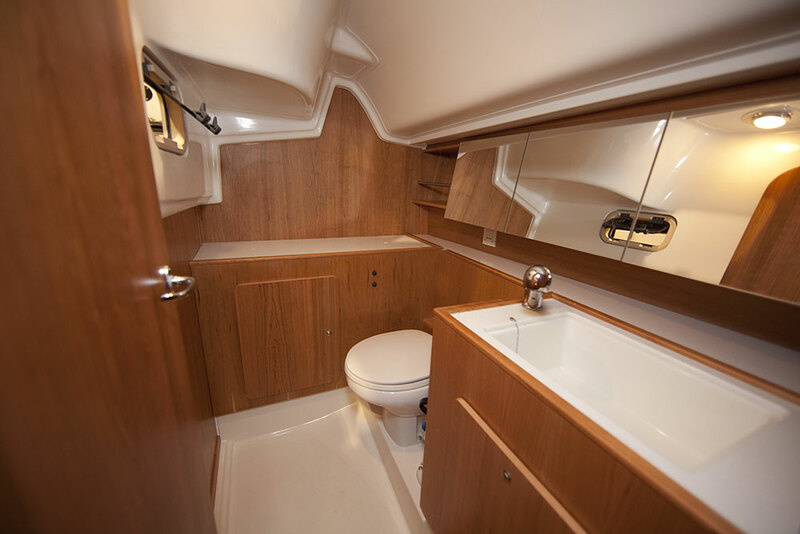 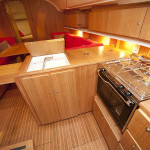 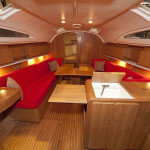 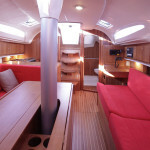 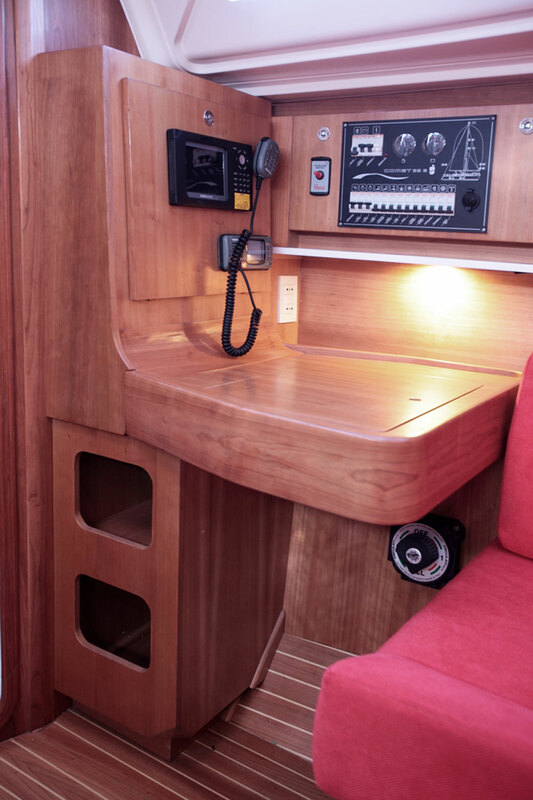 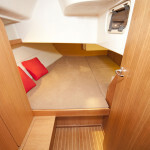 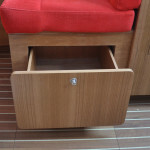 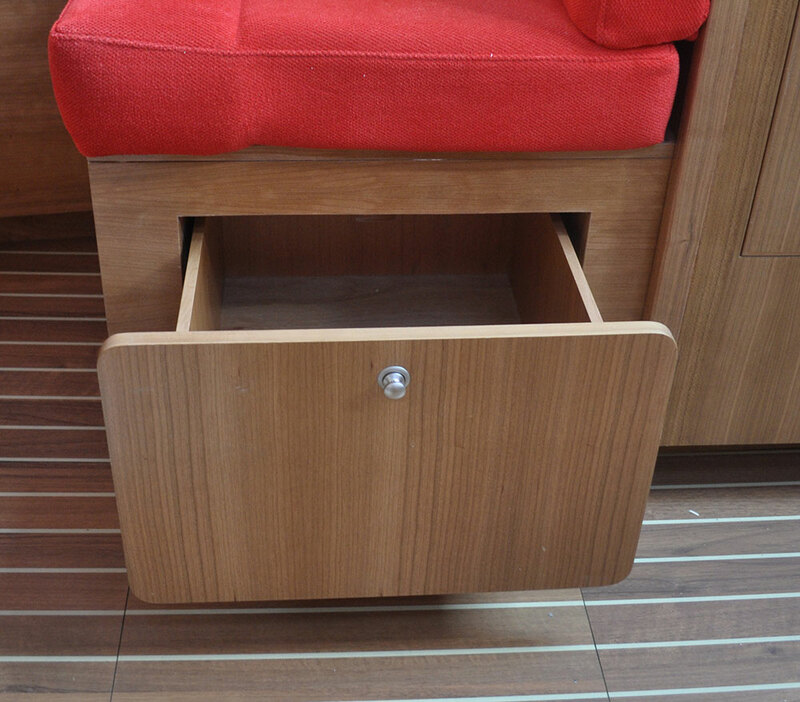 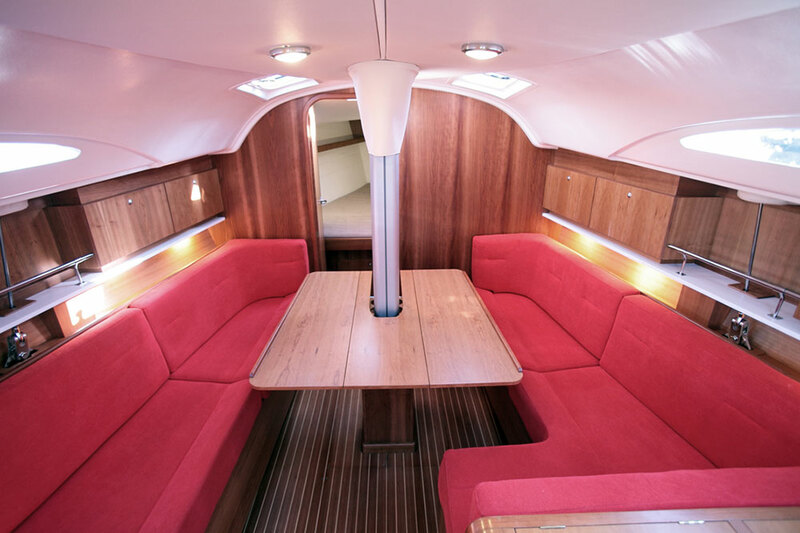 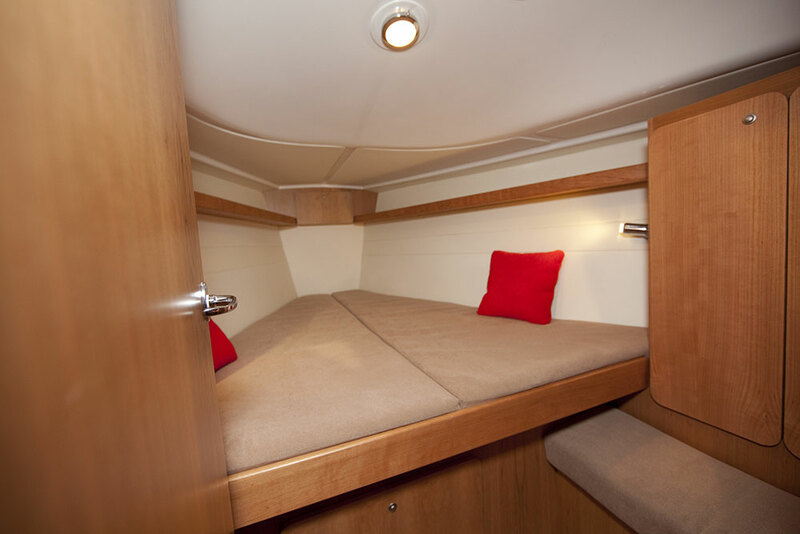 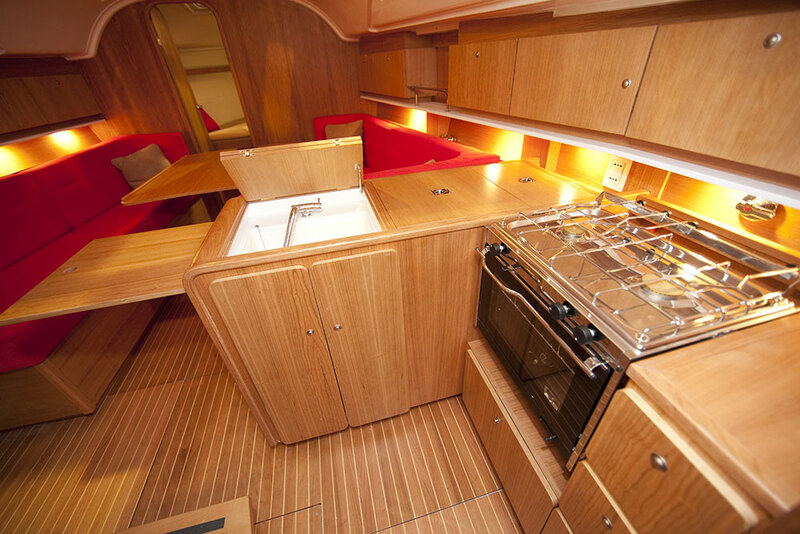 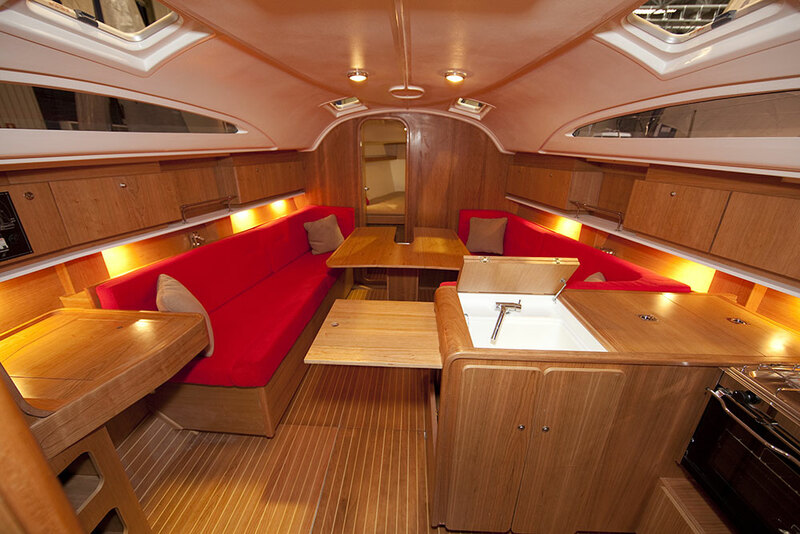 The dinette offers ample storage space, with an L shaped galley to the right of the ladder, well equipped with a large working area, in front of the chart table. 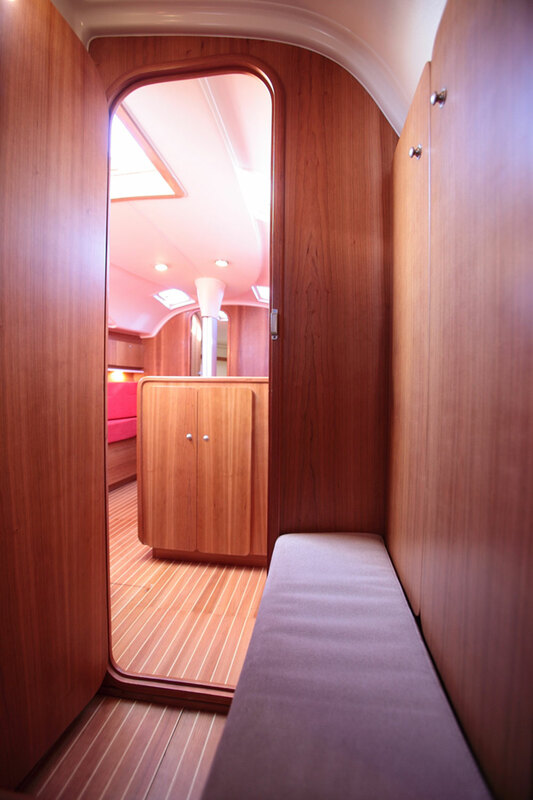 The finishings are in solid and laminated American cherry wood, ensuring a modern and welcoming ambience. 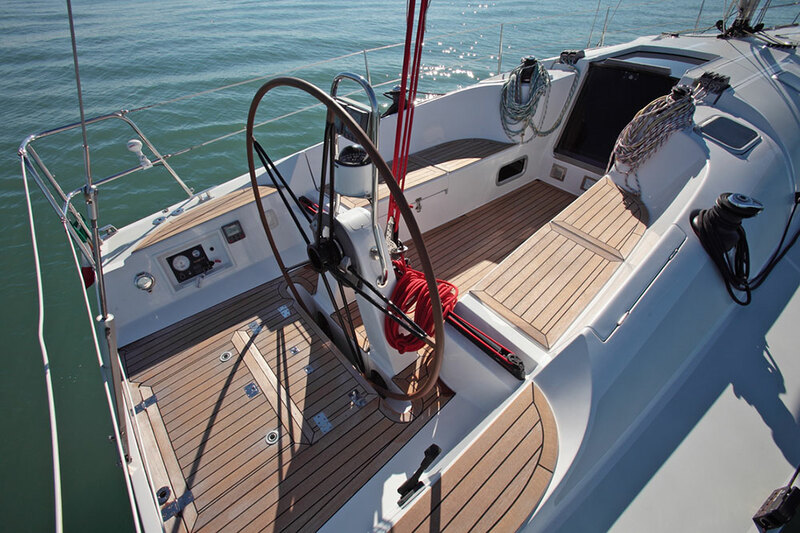 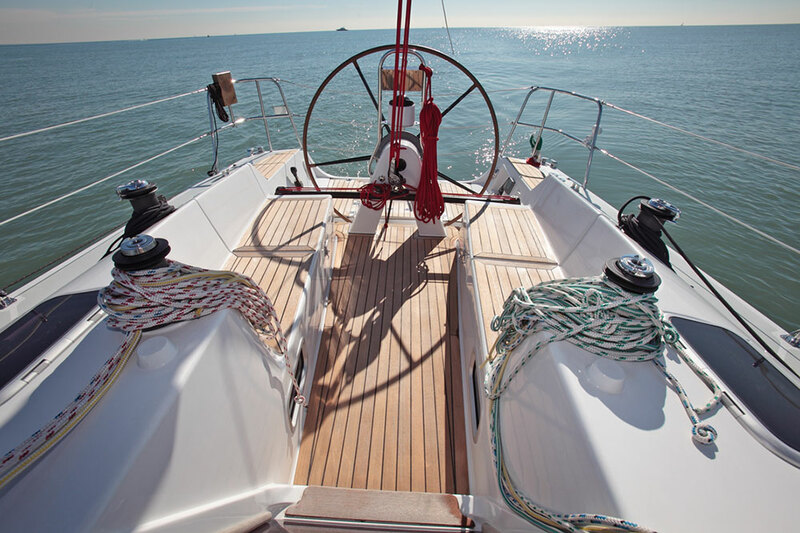 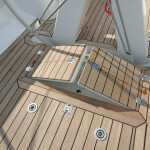 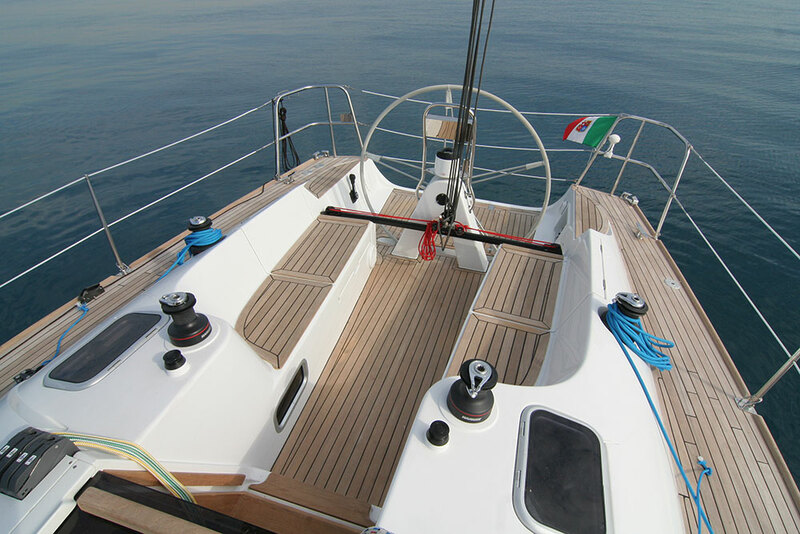 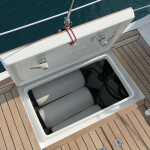 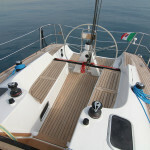 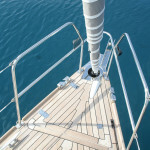 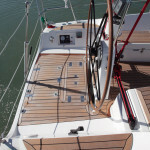 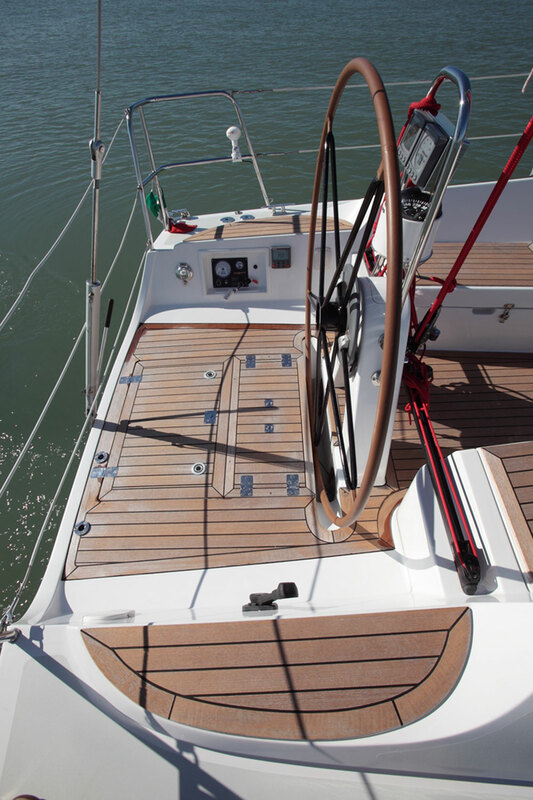 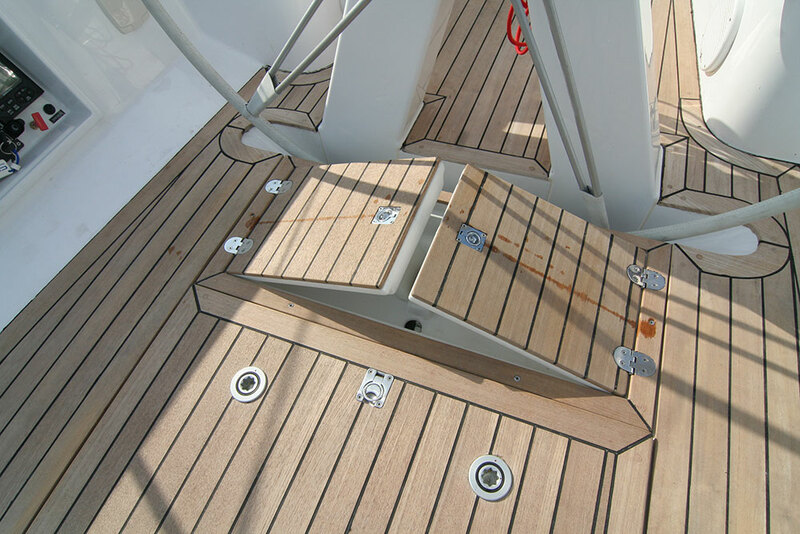 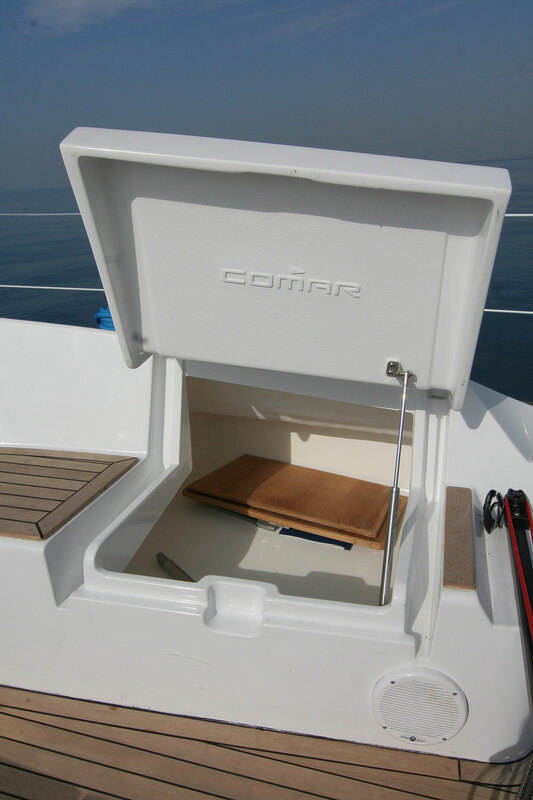 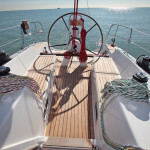 The deck features ergonomically designed volumes designed to leave plenty of space, despite the equipment. 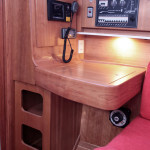 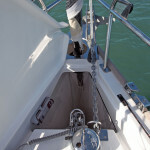 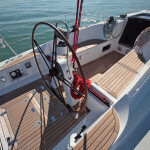 The cockpit is dominated by a large central wheel, which allows the eye to wander over the open stern.From the wheelhouse one can enjoy the skylights and the typical elongated windows, while the passage of halyards is entirely internal in recessed grooves.There is spacious storage under the stern seats and at the bow for the anchor and the windlass.As in all Comar production, the doors are flush and tailor-made, the winches are mounted inside the breakwater, Harken equipment and steel components are custom-made directly at the shipyard.The Comet 35 has a 9/10 rig.The objective of the small Comar Yacht cabin cruiser is to maintain the full range concept: modern lines, excellent seaworthiness and the top notch livability. 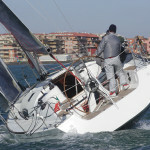 A challenge that becomes more interesting in small sizes. 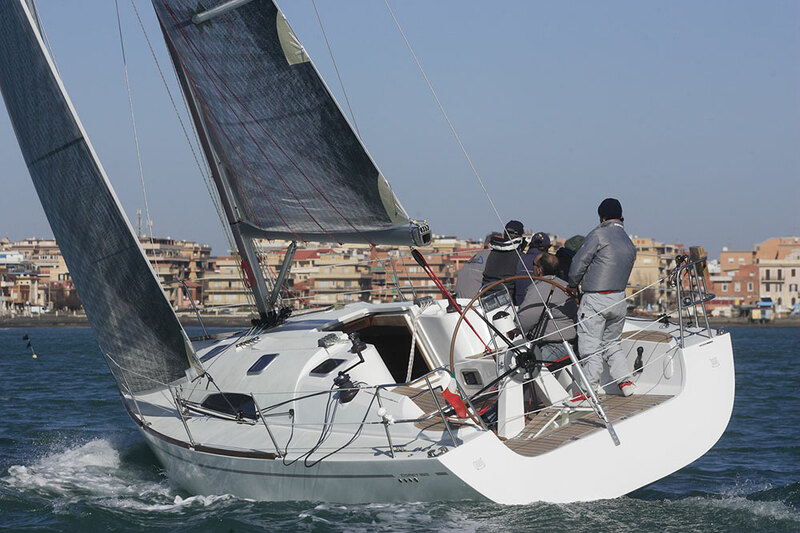 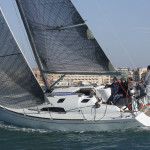 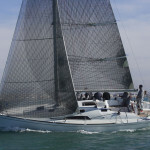 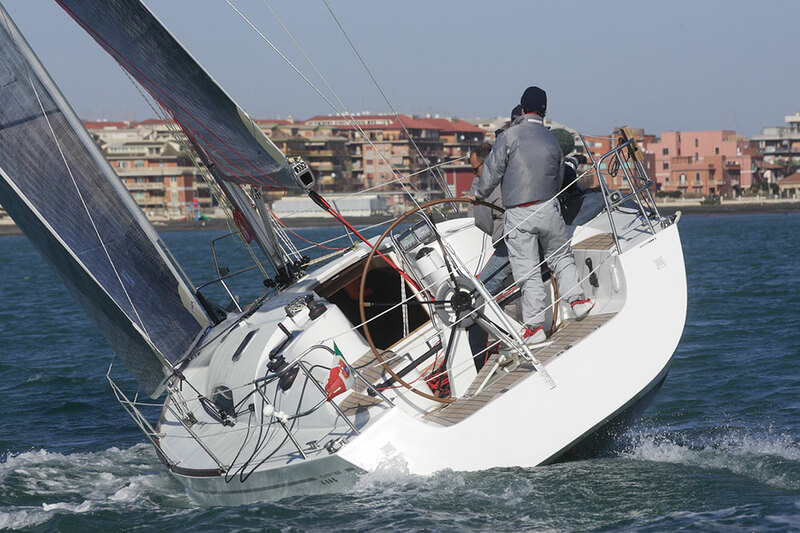 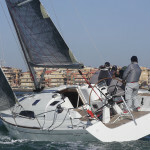 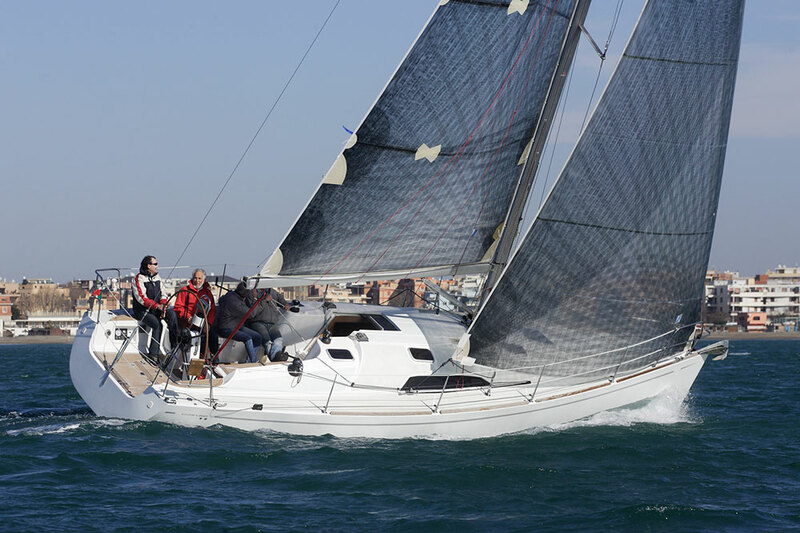 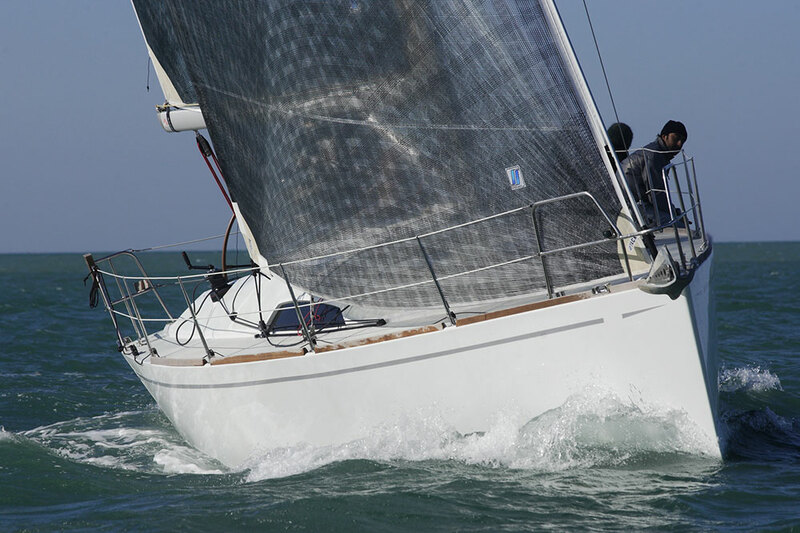 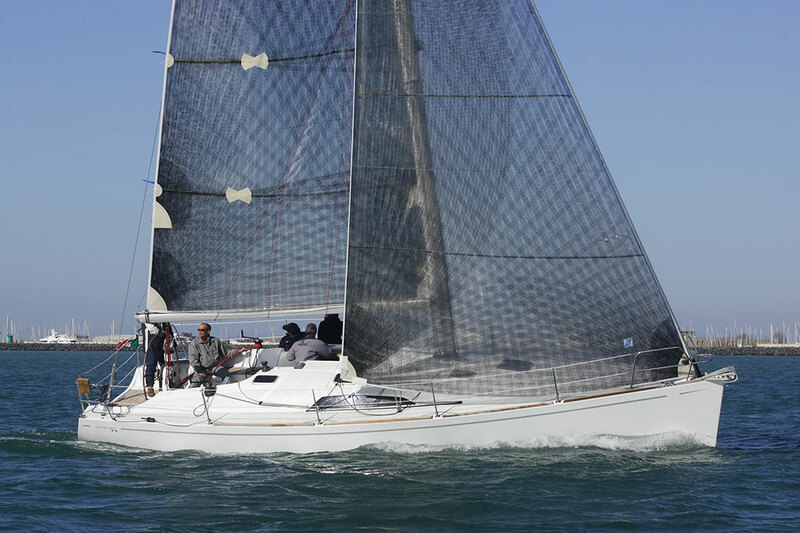 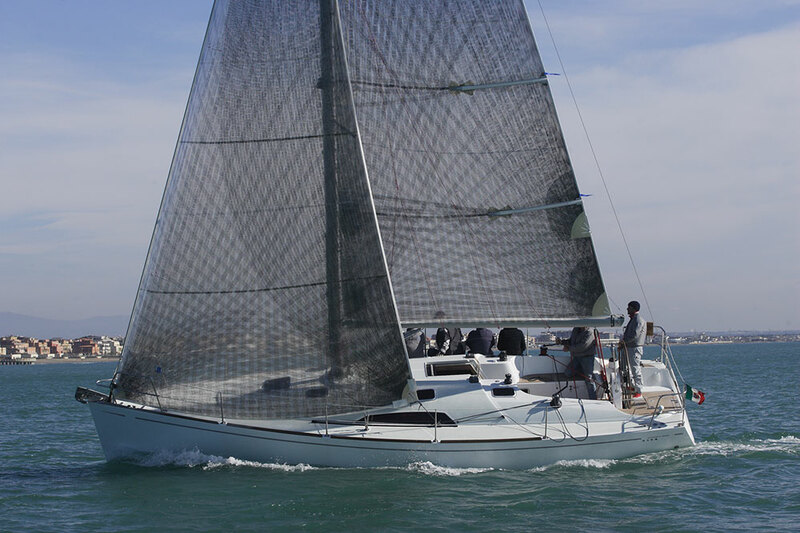 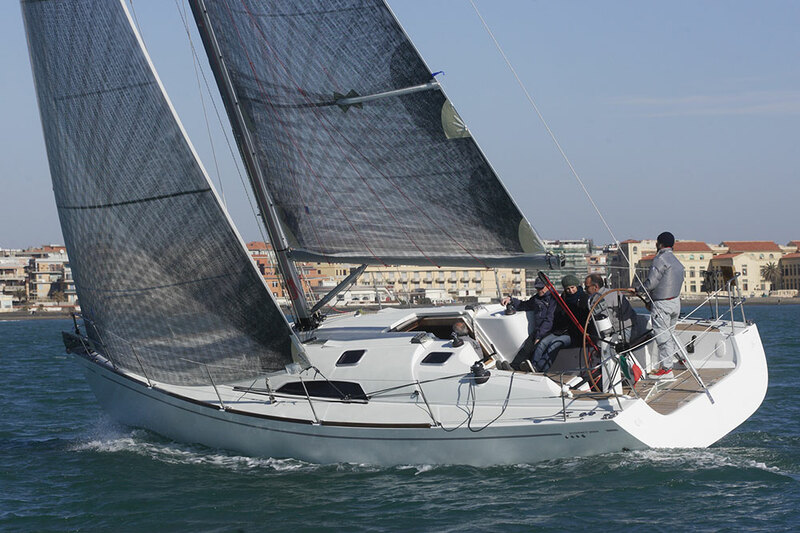 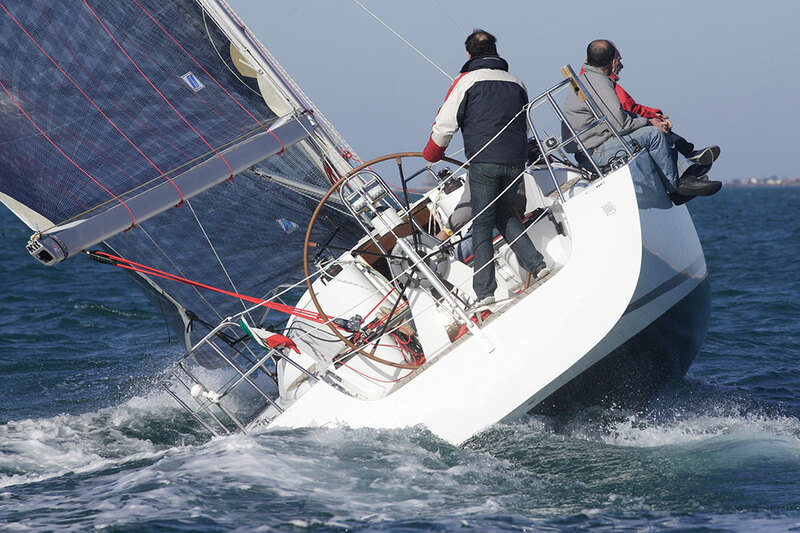 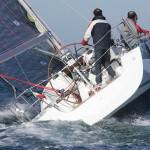 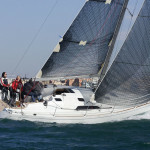 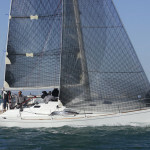 The cruiser vocation of the Comet 35, becomes pure racing fun and in both instances the hull stability allows seamless boat management even with a reduced crew. 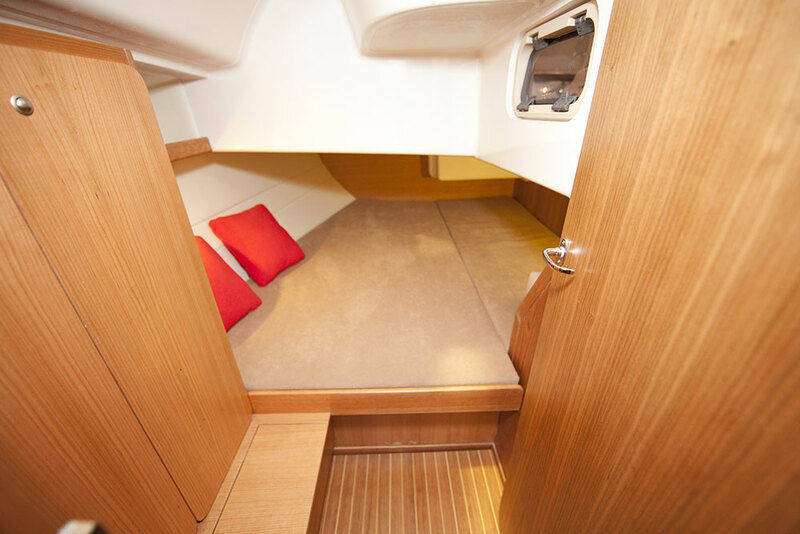 By reinterpreting the sleek and well balanced lines typical of the Sports Comar range, even in the 35 we can recognize the harmony of the deck where the deck house, well integrated with the hull lines, offers excellent interior livability.